grief must know its measure. time will claim its treasure. 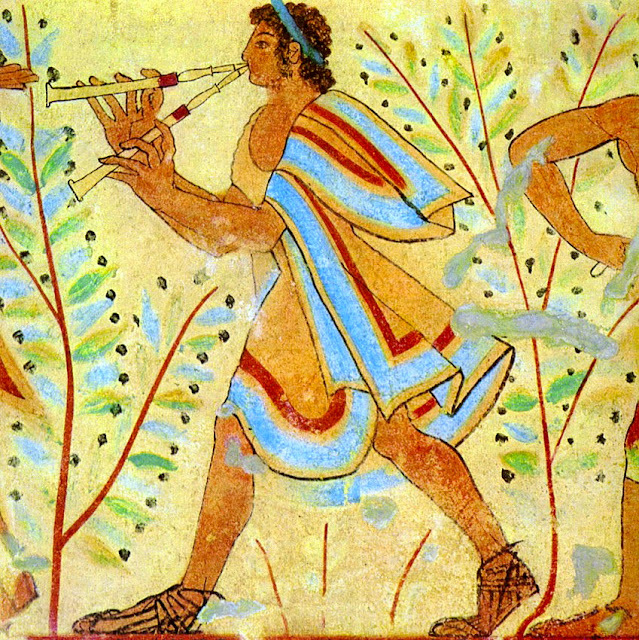 Listen to the only song to come down to us from Ancient Greece, and consider its message. Known as the Seikilos Epitaph, its words and accompanying musical notation were inscribed on a tombstone discovered in 1883 near Aiden, in what is now Turkey. The song was written by someone known to us only as Seikilos and dedicated to Euterpe, thought to be his wife. Archeologists believe that the tombstone was made about the time of Jesus. Generally, I believe that translations of songs and poems should preserve the meter of the original, if possible. Here, however, I've been loyal to our English tradition of rhyming epitaphs. It's a strange coincidence that this song about the transience of life is the only musical composition from that era to survive. Does Fate have the heart of a poet? grieve not and be joyful. and time bears death's prize away.